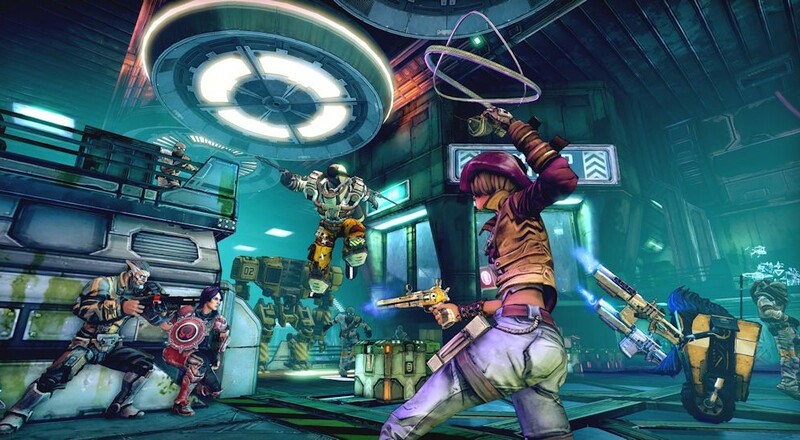 Co-Optimus - News - Just Got Borderlands: The Handsome Collection? Better Start Downloading the 16GB Patch. Excited about your brand new box of Borderlands? The Handsome Collection sure is nice, what with its Borderlands 2, The Pre-Sequel, all the DLCs and local split screen for four players on your fancy next-gen console. There's just one thing you need to do before you get started: download a "strongly recommended" 16 or 8GB patch. The day one patch for Borderlands: The Handsome Collection adds 8GB of content and fixes for PS4 owners and 16GB of content for Xbox One owners. Most of it has to do with Pre-Sequel's Claptastic Voyage DLC, as it was completed too recently to be included on the disc. Enter digital distribution to save the day! A handful of bug fixes and tweaks are part of the package, too, but, you know, not 16GB worth. Borderlands: The Handsome Collection launched March 24 bringing the two most recent Borderlands games along with all their DLC to next-gen systems. If you owned Borderlands 2 for the 360 or PS3, you can even transfer your saves over to hang on to all that loot you so carefully piled together. Page created in 0.7821 seconds.